Our excellent service, friendly team and state-of-the art facility ensure you will receive the high-quality, personalized dental care you need and deserve. You and your family deserve nothing less than the very best in dental care from routine preventive dental care to restorative dental surgery. Our dental office serves the Scottsdale, AZ area with your utmost comfort in mind throughout. There are large flat screen TVs mounted in each room for you to view satellite TV, movies and relax during treatments. 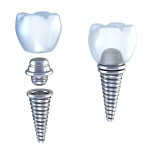 This combined with the latest technology provide you with the quality and safety you need for dental surgery. Dr. Kidess and her team of dental professionals provide quality cosmetic dental surgery to improve your smile. We also perform dental surgery to remove teeth, root canal treatment and other oral health procedures. Sedation dentistry is a common part of many major dental procedures such as root canals or wisdom tooth extractions. Dr. Kidess is a board certified sedation dentist serving the greater Scottsdale AZ area. Dr. Reem Kidess is one of the top restorative, cosmetic and sedation dentists in Phoenix and Scottsdale, AZ. If you believe you may need a dental surgery procedure, contact Dr. Kidess today at (480) 991-2290 to schedule an appointment.